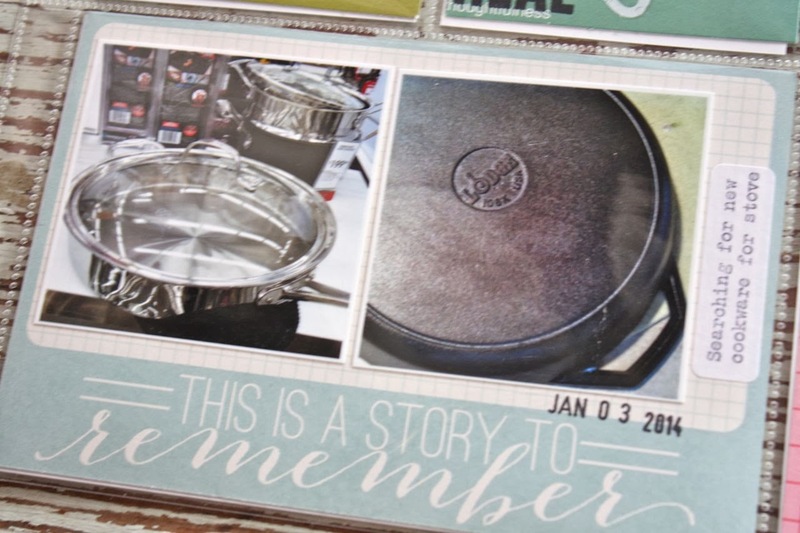 Today I'm sharing my 2014 cover page and Week 1 of my Project Life album. 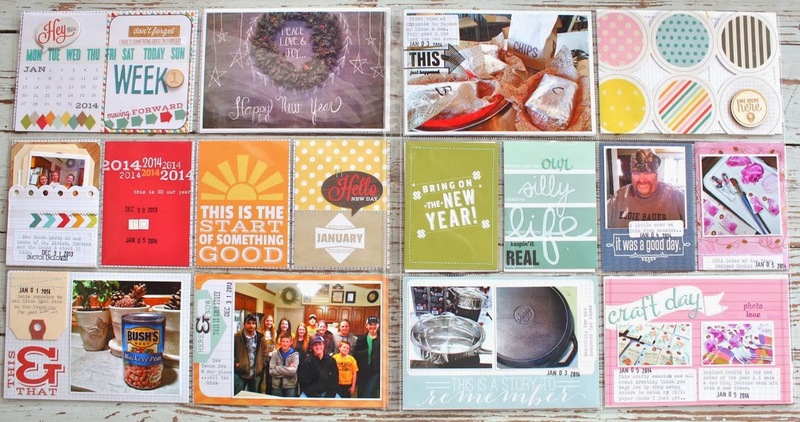 I used Gossamer Blue kits for inserts. 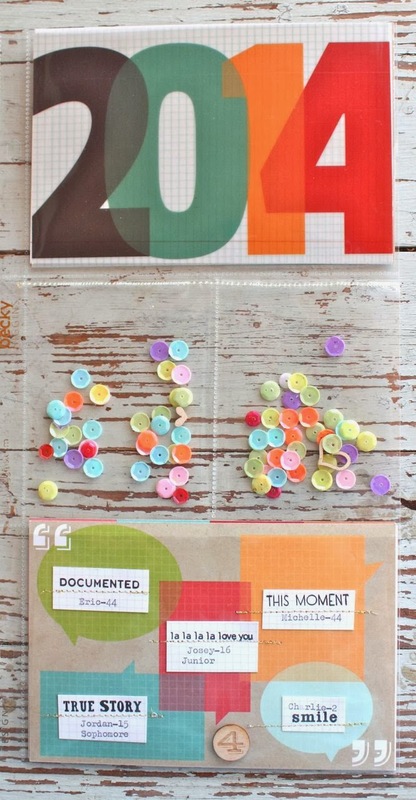 When starting a new album, I like to have a cover page that introduces a new year. I decided to go with a rainbow theme to start off with a colorful year. Here you can see a 6 x 12 insert over the scalloped 12 x 12 page. 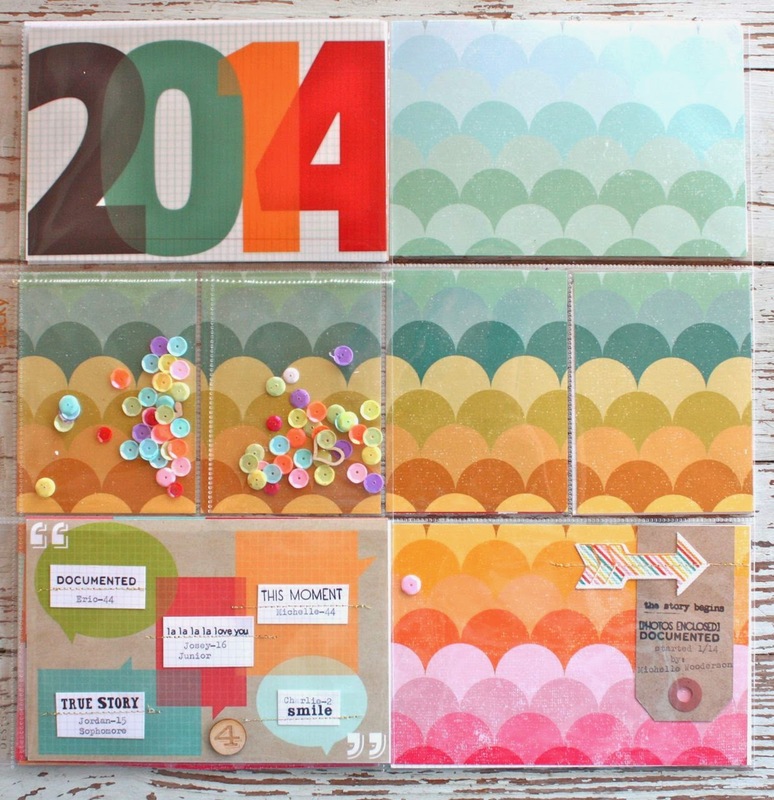 I used the Gossamer Blue 2014 insert along with some sequins from my stash and another 4 x 6 insert from Gossamer Blue. 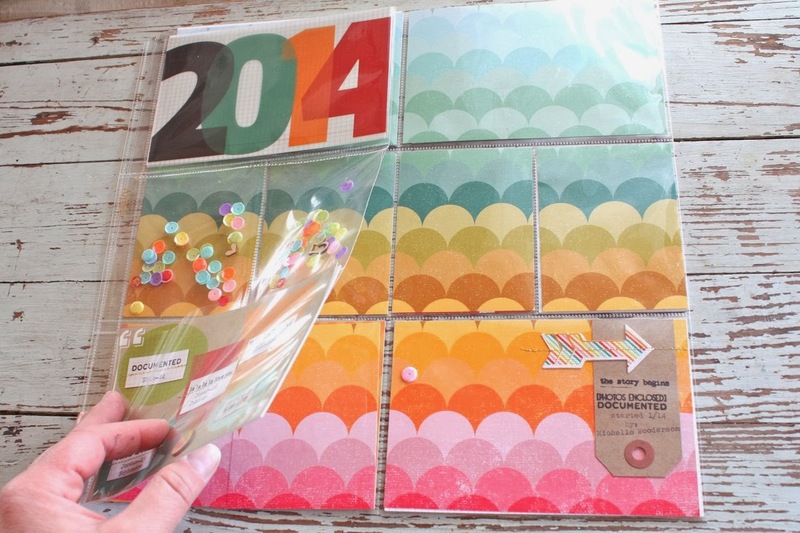 I really like how the sequins provided a transparent view to the rainbow page. 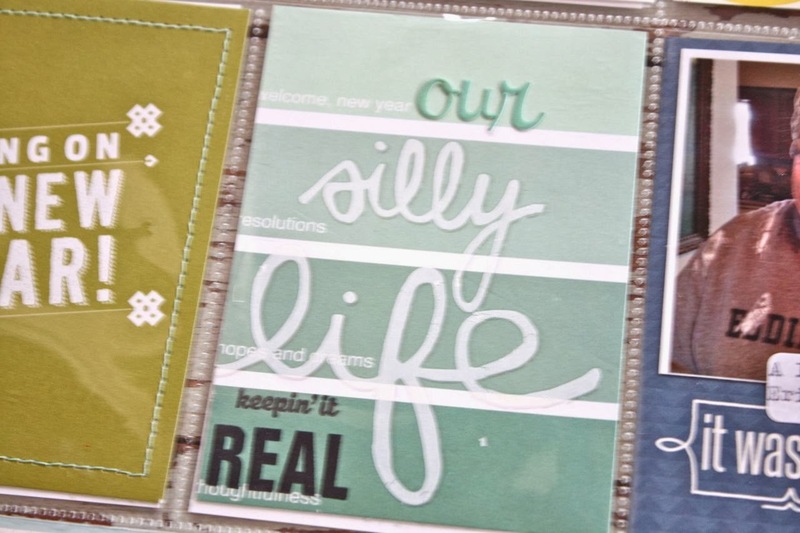 On each of the little quote bubbles I used an October Afternoon phrase stamp from a Gossamer Blue kit and then typed the family member's name and age on a grid card. I trimmed the pieces and stitched with gold thread. The #4 veneer represents the number of our family members. Turning the 6 x 12 cover page, you see the back side and the full rainbow page. I just trimmed down the 12 x 12 page to fit into a page protector. 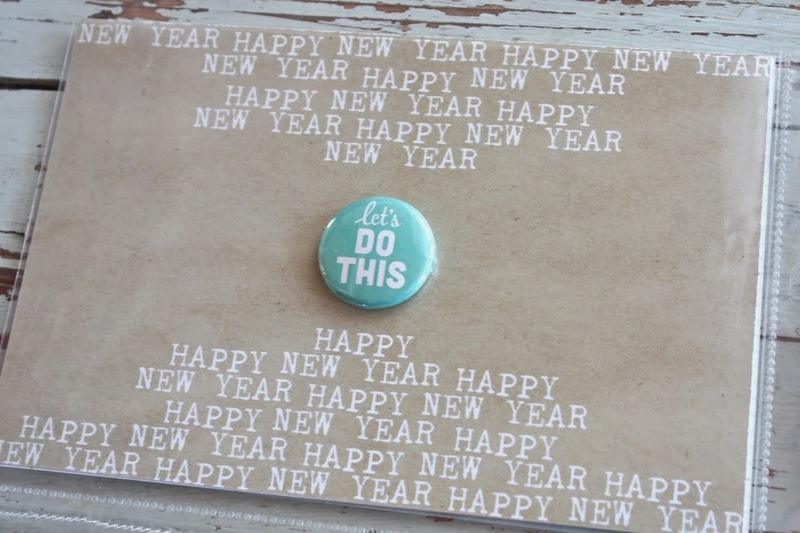 I loved this badge on the Happy New Year insert. 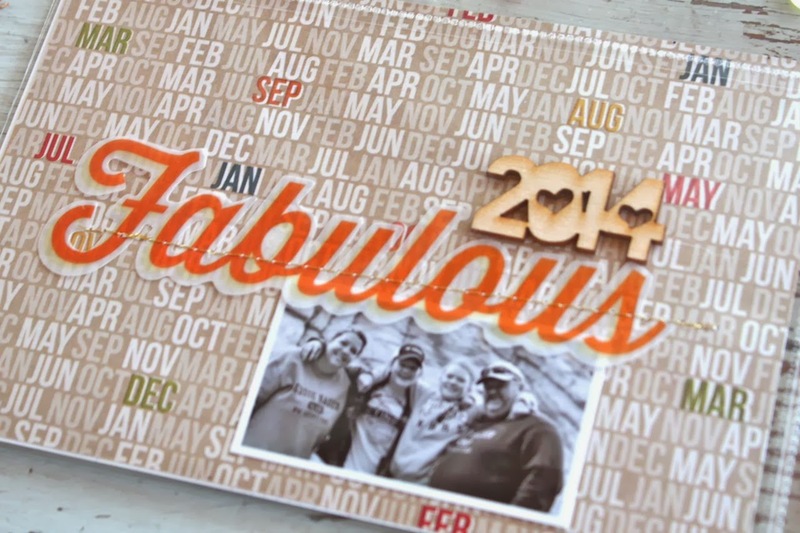 Here I stitched on a vellum phrase and added a favorite photo + the fun 2014 wood veneer. 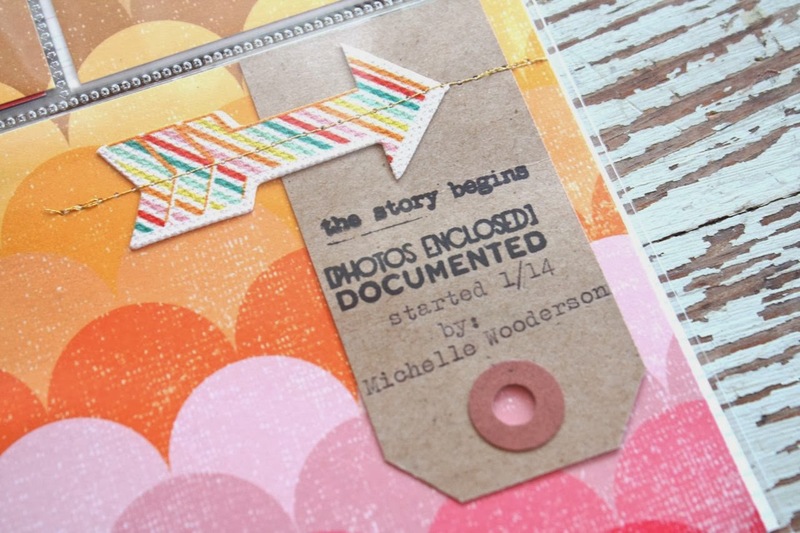 On the large 12 x 12 page I added a Kraft tag to one insert and stitched on a rainbow arrow sticker. I like to note that I am creating this album and the start date. Turning the page once more you can see my week one layout. 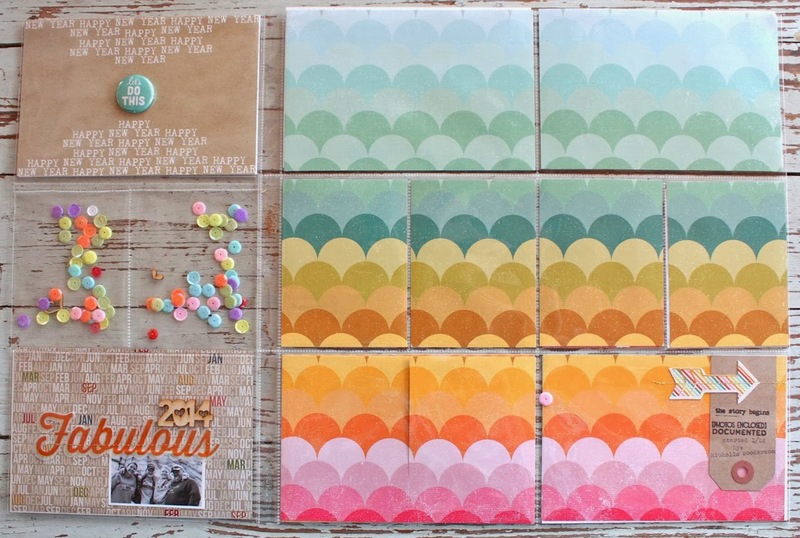 I used a rainbow theme starting from left to right with the middle row of 3 x 4 journaling cards. Just something fun and since this was made in advance all I needed to do was add my photos and embellishments + some journaling when I was finished taking photos for Week 1. I was a little worried that I had too much color going on but once I completed the spread, I loved it. 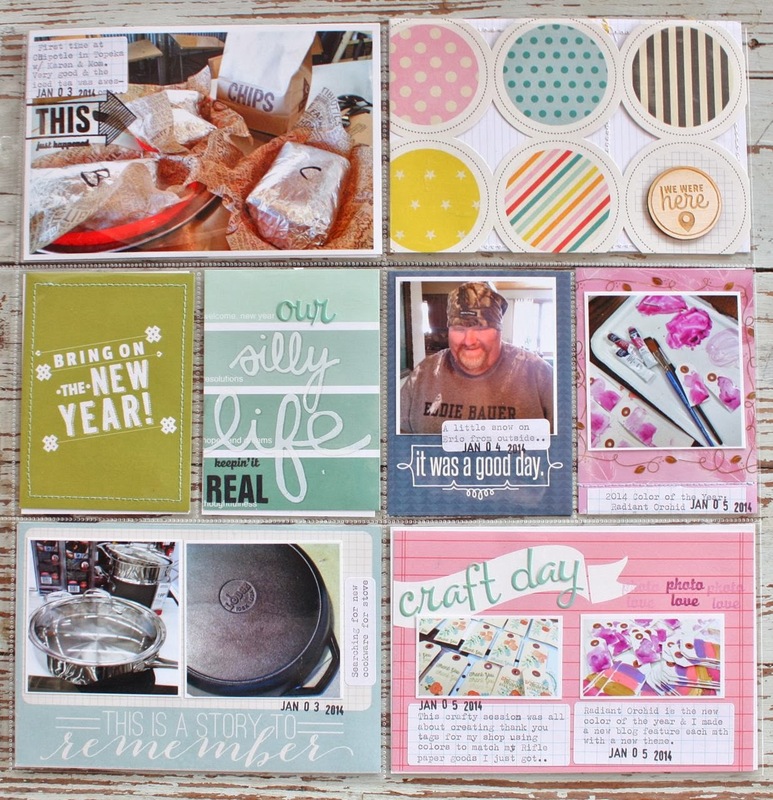 It's just a colorful layout kicking off the new year with a little fun. 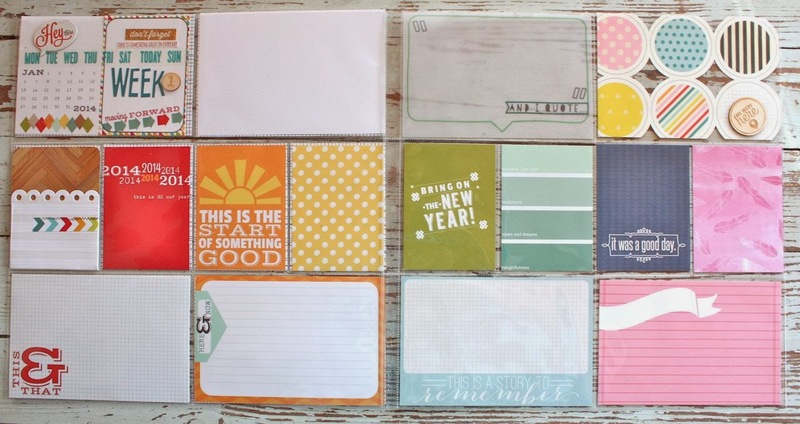 Here I used two 3 x 4 journaling cards to fill one 4 x 6 slot. I love all the fun elements added here. 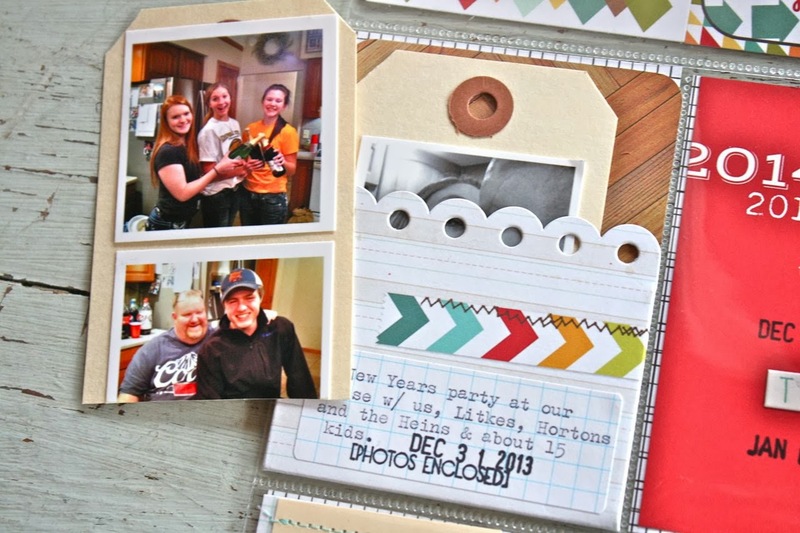 For this 3 x 4 insert I used a pocket from a kit and added in two Large Manila Tags with photos. 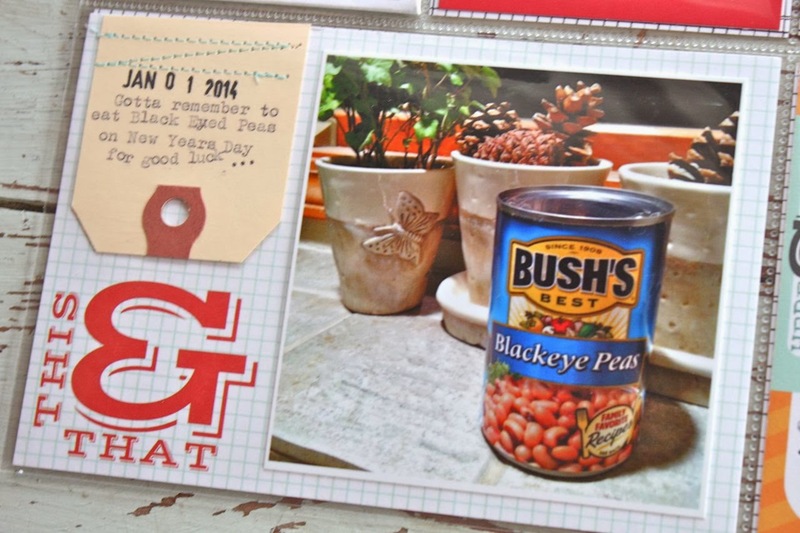 Couldn't forget the black eyed peas on New Year's Day. A family tradition to bring good luck to the new year. I stitched a Medium Manila Tag to the 4 x 6 insert and trimmed. This yellow polka dot card was a full 3 x 4 size. I trimmed down the Kraft card and stitched to the 3 x 4 card then stapled on a die cut. 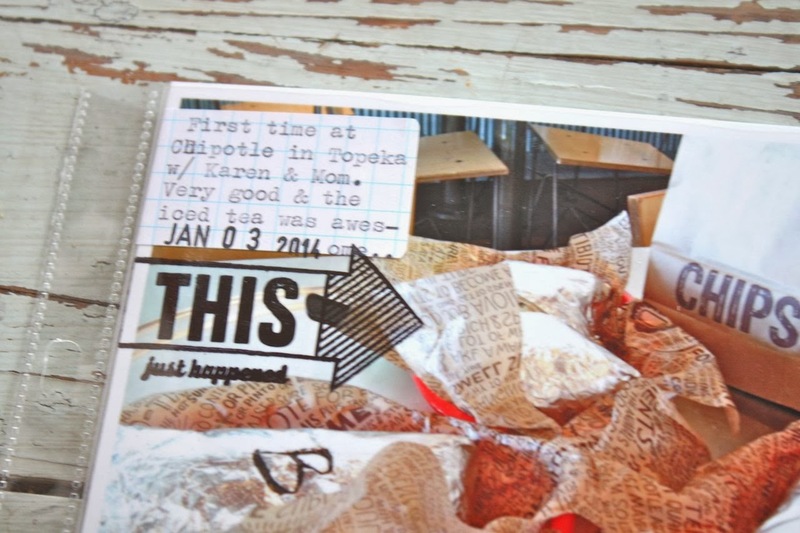 Here I used Gossamer Blue stamps directly on the photo + I added journaling to a Grid Paper Label. 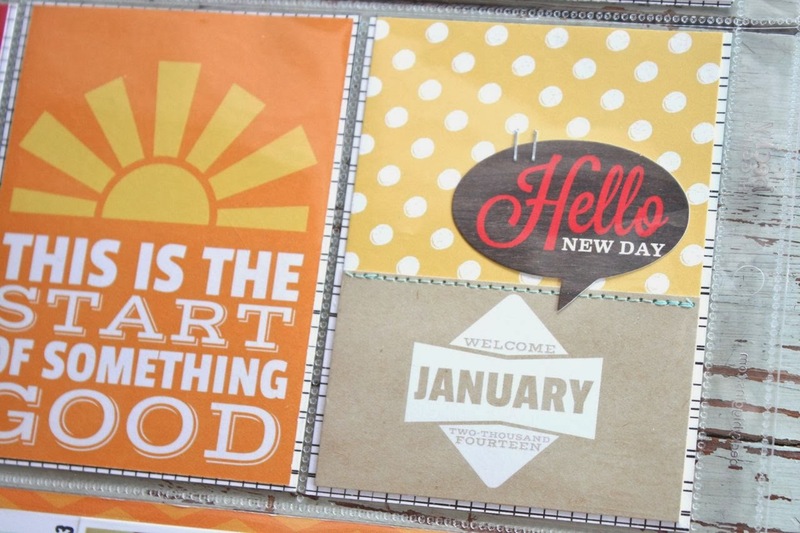 I added stickers and rub ons to this paint swatch journaling card + some stamping. Two square photos are on this 4 x 6 card. I loved my last few inserts. 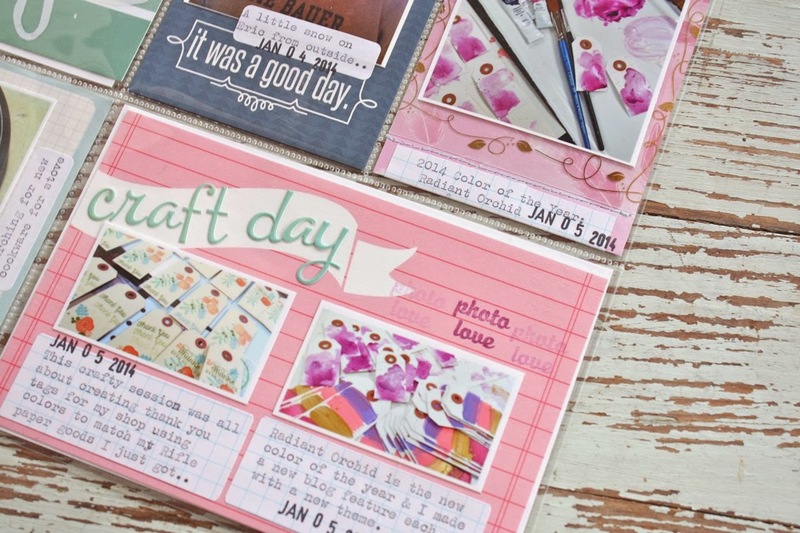 I included photos from some crafty sessions + used Grid Paper Labels for typed journaling. 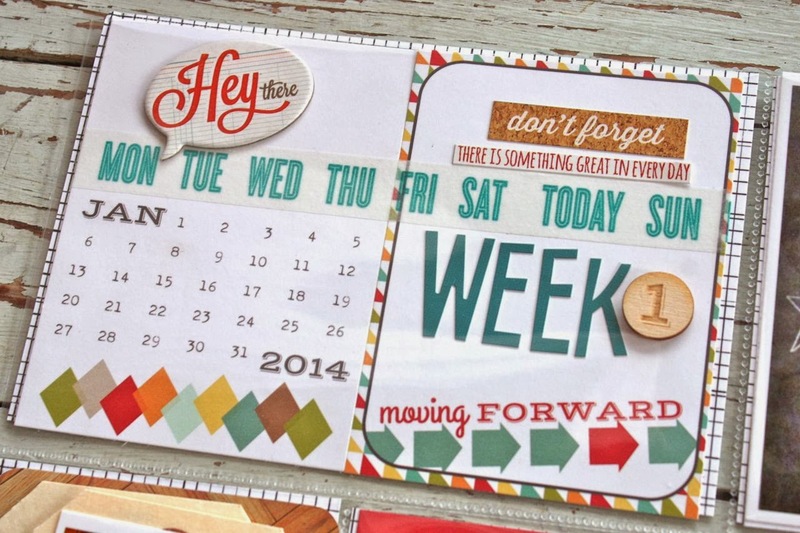 The fun October Afternoon stickers added a whimsical title to the blank banner. That paper is great - who is the manufacturer ? 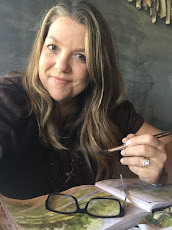 love your work - very inspiring !! 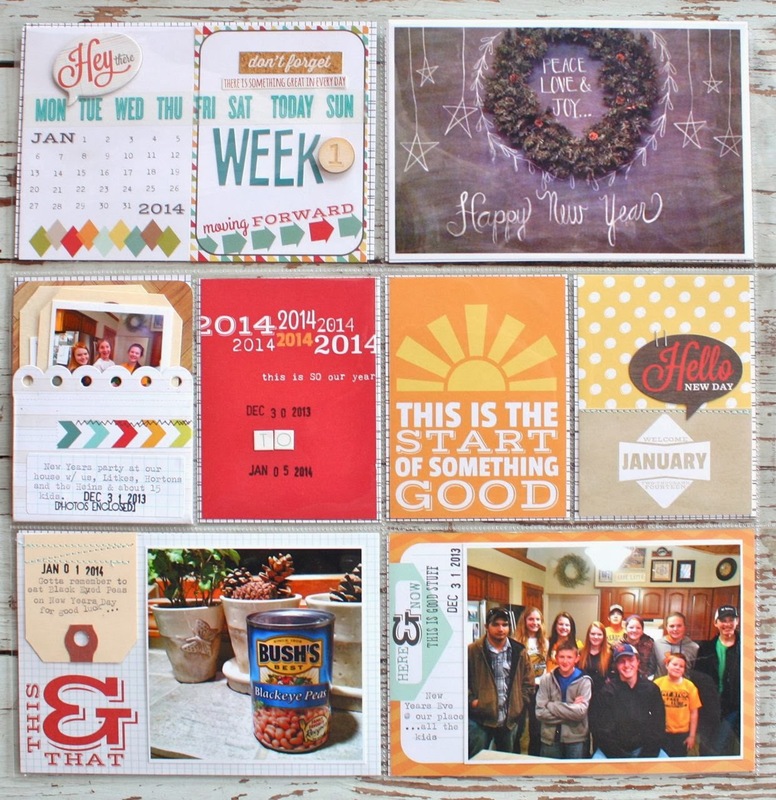 Love the start to your 2014 PL Michelle! Read your blog always ... haven't commented in awhile. 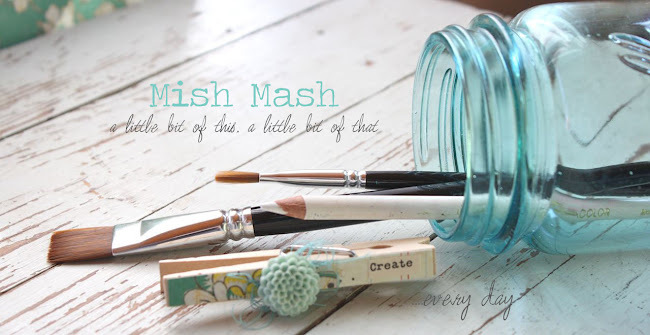 I absolutely LOVE your cover page! !